Made in Italy - Quality - Luxury - Craftsmanship - Attention to detail - are the ethos of Bonfanti Tessuti factory. Based in Como, this family business has a well established reputation for excellence; a cloth that stands out for its quality as well as its style. 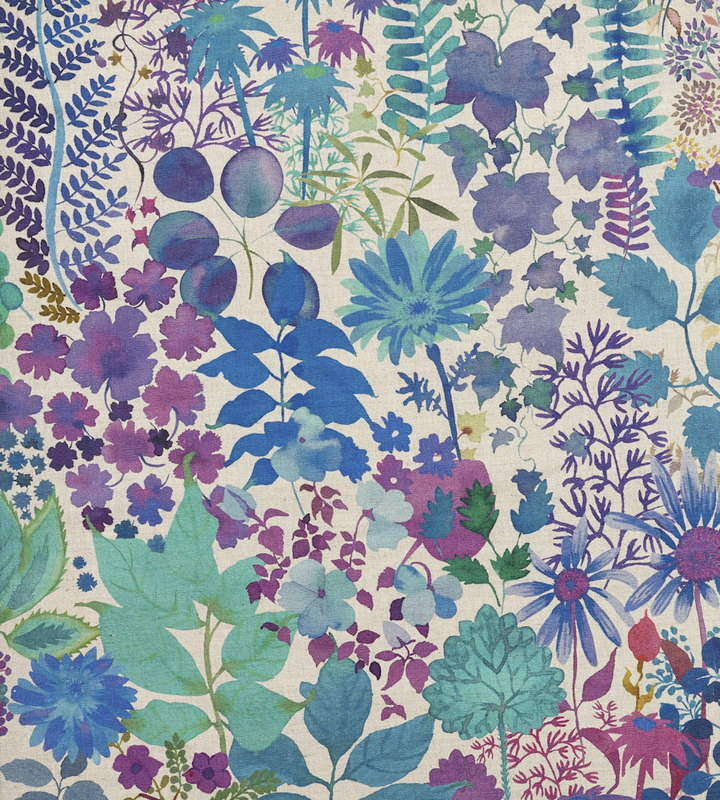 Clearly, we have not experienced better handfeel and quality than Bonfanti fabrics. It is very smooth and confortable, but also drapes well with a good crease resistance. Bonfanti produces shirts in two methods: on full width speed looms (150 cm) and narrow width (90 cm) shuttle looms. True to their quality, all Bonfanti's offerings are 2x2. Bonfanti’s 90cm quality is made on its original “Omita” looms which are over 50 years old. The wooden shuttles and the slow speed of these old looms (on average the looms weave only 2 meters per hour) create a cloth that is uniquely soft and has an unparalleled hand. In 1936, author and adventurer Ernest Hemingway designed a 'bush jacket' which was made by Willis & Geiger. 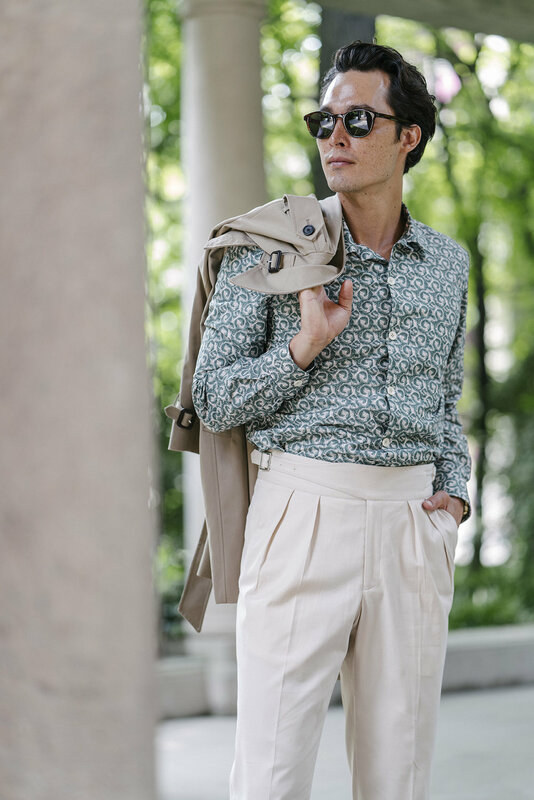 And in the 1960s and 1970s safari suits became fashionable thanks to designers versions for men and women by, for example, French designers Ted Lapidus and Yves Saint Laurent. We celebrate our Hong Kong shop opening this summer with the new line "Superlight". 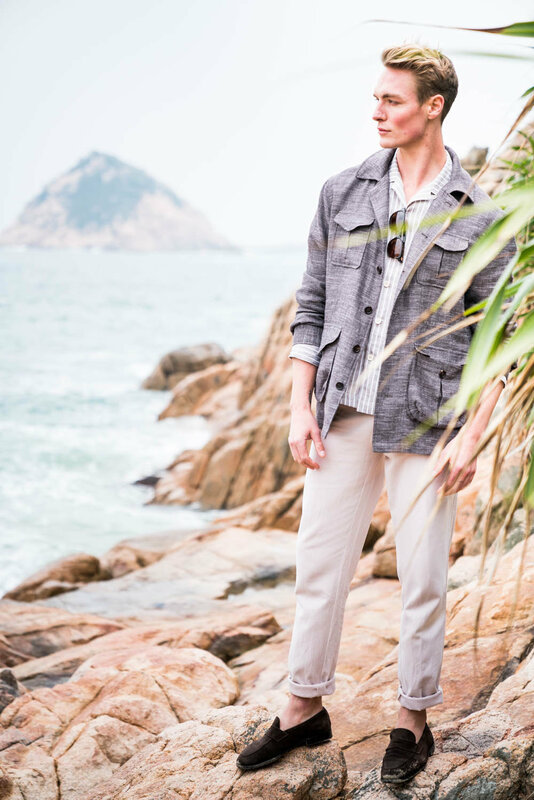 Superlight suits are handmade in tropical fibers and every step of the wormanship is improved with the ambition to make a garment that is comfortable in hot and humid weather. The Superlight suit is 50% lighter than a classic business suit and looks just as sharp. 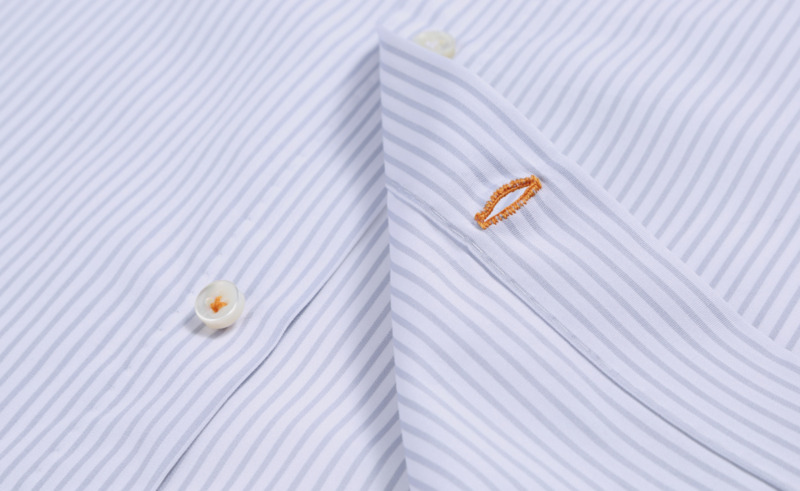 For shirts, please ask for Giro Inglese fabric, it is a very special dry and fine weave made exclusively for the hot days! Available at our showrooms in Hong Kong and Shanghai and online in the WEEKEND SS16 collection for our existing clients. Starting in July 2016 with each purchase of a suit one tree will be planted in China !!! The Shanghai Roots & Shoots Million Tree Project, which began in 2007, aims to raise community awareness of the Earth’s precious environment while focusing on steps individuals can take to lessen their negative impact on the natural world. By planting trees in Inner Mongolia, the Million Tree Project is designed to improve both ecological and humanitarian conditions there. The project gives individuals and organizations an opportunity to fight climate change by planting oxygen-producing trees. It also encompasses true capacity building as the local population is intimately involved with, and benefits from, every step of planting, maintaining and monitoring the trees. GERMAIN Tailors is returning to Hong Kong to take new appointments and conduct monthly fittings. The next dates are on April 1-2-3-4 and May 1-2-3, 2016. 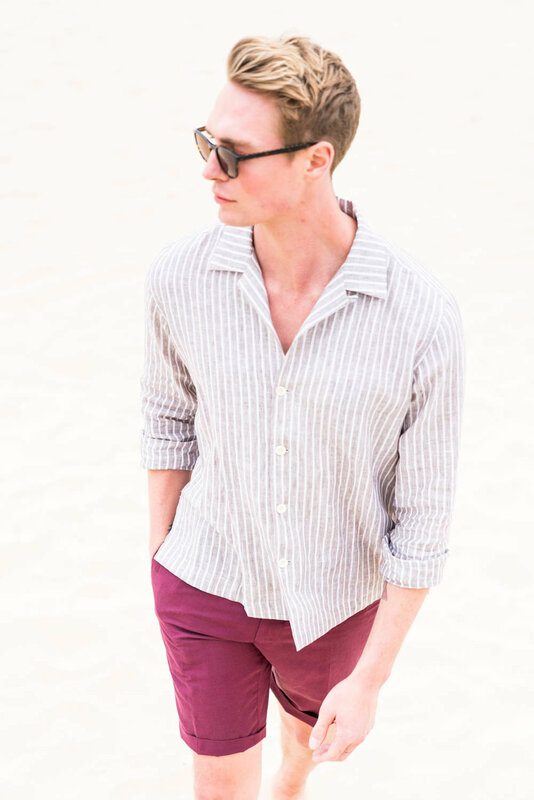 The tailors will bring their summer “super-light” creations together with a selection of new casual products which are also offered made-to-measure. 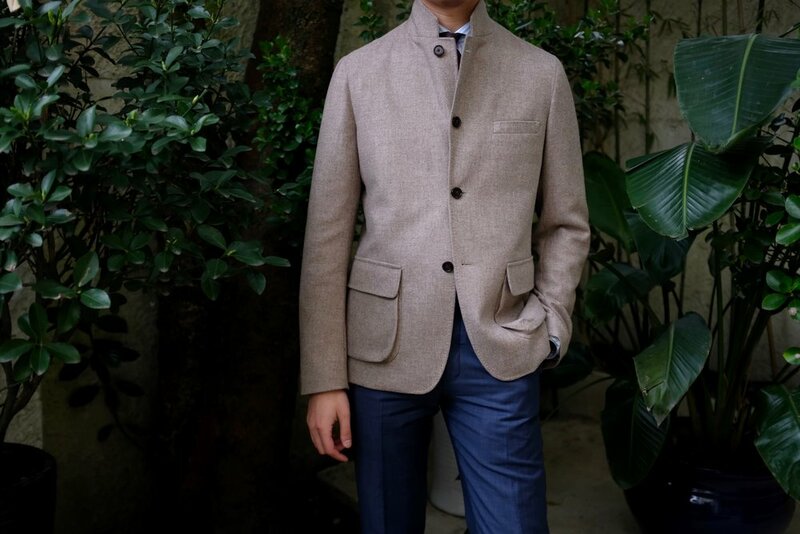 Of the many varied tailoring approaches, “Soft Tailoring” is becoming popular among bespoke aficionados. Inspired by the Neapolitan craft, the construction uses minimal padding, linings and interlinings which makes the garment an ideal partner for hot and humid climates. This approch requires more work to sustain the shape and reduce the stiffness of the canvas. At GERMAIN Tailors the material and pattern of every inner component of the suit is designed in-house for a modern look, natural shoulder line, fitted armhole, and elegant waistline. For appointments, please email Yally@germain-tailors.com or +852 6200 0446. The April trunk show will be held at 3/F, No.2 Queen Victoria St, Central. We are proud to partner with the most exciting black tie boxing events in Asia: Brawl on the Bund in Shanghai and Brawl on the Wall in Beijing. We have made a tuxedo collection specialy for this events. Offering all the best of formal-wear, from velvet jackets with shawl collars, to double-breasted tux made in japanese super-black wool, and many options such as thai silk, gros grain or satin lapels. The collection is available for rental onsite at the event or made to measure until eight days before the event. Nous sommes fiers d'etre partenaire avec les evenements Brawl on the Bund a Shanghai et Brawl on the Wall a Peking. Dans le cadre de ce partenariat, nous avons realise une collection de smoking avec le meilleur du genre: costume col chale en velour palatine, veste de smoking croisee en laine japonnaise noire profond, et beaucoup d'autre options tels qu'un choix de revers en satin, en soie, ou grosgrain. La collection est disponible en location sur place lors des evenements ou sur mesure jusqu'a huit jours avant l'evenement.